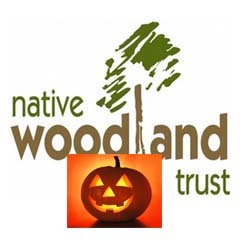 Halloween is approaching and in the spirit of the spooky time of year the Native Woodland Trust is holding a night time walk with story-telling on the NWT Blessington Reserve. This event will take place at 8pm on Thursday 30 October. The Native Woodland Trust is an environmental charity dedicated to the protection of Ireland’s rare native and ancient woodland. The Trust achieves this by setting up woodland reserves around the country, such as their reserve in Blessington. This reserves network allows the Trust to protect existing woodland as well as plant new native woodland for the future. Part of the work we do involves running educational and fun events for our members and the public to encourage more people to use their local woodlands. For this fun event we will be taking a night time Halloween walk through our spooky Blessington Reserve. See how many pumpkins and cobwebs you can spot as we pass through the trees. We will have an exciting special guest- a story teller will meet us in the woods and entertain the children with stories of everything from witches to woodlands. This is a Halloween walk and so fancy dress is essential! As this is a night time walk please remember to dress warmly and bring a torch. This event is for children over 6 years old, will cost €4 per child and we encourage car-pooling. Children must be accompanied by an adult. There are limited places and so booking through our website is essential. To book click on the membership tab and under membership type select Halloween walk. Due to the restriction on the number of places a full refund will be given if overbooking occurs. For further details please check our website www.nativewoodlandtrust.ie or the events section of our Facebook page. This event will run from 8pm until approximately 10pm and all are welcome.